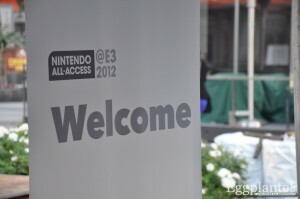 E3 2012: Nintendo’s Press Conference – Eggplante! We’re here at the Nokia Theater in Los Angeles and are about to start reporting on Nintendo’s E3 Press Conference! Of course, Gotye is playing…. yet again. Third time’s the charm, right?! We’re treated to a little opening video of Mr. Miyamoto looking at a script marked Nintendo. 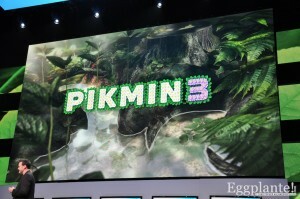 Pikmin are all around him, and it is pretty clear that Pikmin 3 will be a focus of at least a bit of the show. Bill Trinen is out now alongside Mr. Miyamoto to discuss the Wii U. We’re starting off with the new console, and while we’ll probably hear some Wii stuff, we doubt there will be anything major revealed here about new Wii titles. If the console is still on schedule, Wii U will be launching this holiday season and Wii games will be history shortly after. Sure enough, Pikmin 3 is going to be the first game we see live on the Wii U. We’re seeing a new type of Pikmin – called the Rock Pikmin – which can be hurled at enemies and glass walls, as in the example we’re seeing here. Some neat gameplay elements include using the Wii U GamePad to see an overview of the map while your Pikmin are busy working on your television. 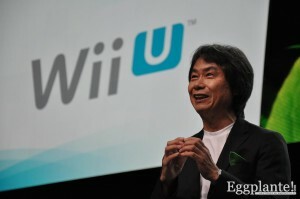 Reggie is now out and discussing Wii U further. His first point is to say that Nintendo started out showing off games at the presentation because their focus will be on the games at E3 this year. We can expect 23 Wii U titles on stage just at this conference, and apparently that is just a small range of titles available to play this week in Los Angeles. 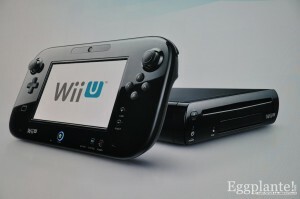 “At its core, Wii U is about three things,” and those things are gaming, social interactions, and entertainment. 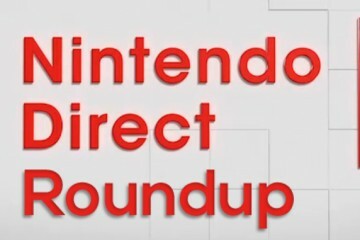 We’re getting YouTube, Netflix, Hulu, and Amazon Video on Wii U (although there is no word if this is US only or international). Dual GamePad support has just been announced! No games that support dual GamePads will be available at launch, but it is a possibility down the road. 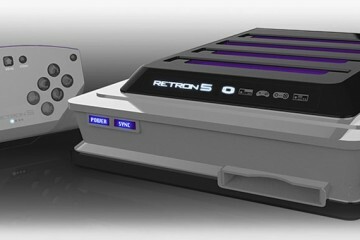 Wondering how much those extra controllers will cost? Us too! Reggie is throwing to a sizzle reel, which confirms the analog sticks that replaced the Circle Pads on the GamePad’s prototype from last year also click down as buttons. That little square below the directional-pad is an NFC reader, and the button to the right of the home button will pull up a television controller to let you change channels, volume, and even see a guide of programming on the screen. Reggie is discussing the Miiverse platform that Mr. Iwata talked about in his Nintendo Direct over the weekend. It isn’t very clear, and doesn’t get much clearer as he continues talking. 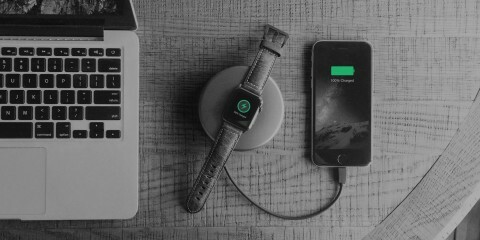 Either way, we’re sure we’ll get more of a taste as we get some hands on time with it. 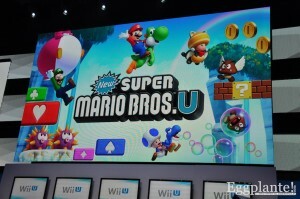 New Super Mario Bros. U is the first original Mario title Nintendo is announcing for the Wii U. It (rather obviously) follows in the footsteps of the New Super Mario Bros. Wii series, albeit with some new mechanics like the raccoon suit and some newfangled enemies and gameplay mechanics. 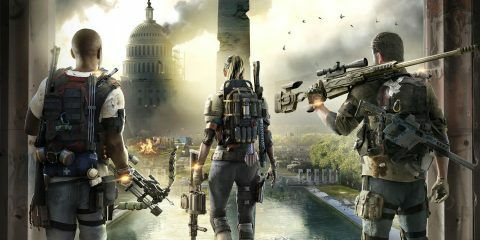 We’re seeing a lot of multiplayer action on screen, which might mean some new experiences that are truly unique to Wii U, depending on how the GamePad factors into gameplay. Martin Tremblay, President of Warner Bros. Interactive Entertainment, is up on stage to announce Batman: Arkham City Armored Edition. This appears to be a unique version of the game, tailored for the Wii U, complete with custom controls for the GamePad and only on Wii U. Unique game modes include BAT mode, a remote controlled batarang using the GamePad, and all new armored suits for both Batman and Catwoman. Up next, still from Warner Bros. is showing off another title, Scribblenauts Unlimited. The game looks even more creative than before, and is looking even more like Nintendo has their version of LittleBigPlanet title to keep fans of all ages satisfied. We spied a Nintendo 3DS logo on the splash screen for the game, so it looks like the game might be coming to the portable console as well, although we’ll have to assume it’s a more abridged version of the game. Another sizzle reel, this time of games, is on screen. We saw a lot of these – the same exact footage, to be exact – last year, with games like Ninja Gaiden 3: Razor’s Edge, and Aliens: Colonial Marines. Reggie is back and talking Wii Fit, or as the new title is called, you guessed it, Wii Fit U. (Geez, before long, we’ll be calling it New Super Wii Fit U Sports Resort Mii or something). This time around, Wii Fit U looks to have taken a different direction with some more fun titles, but also some that seem to really stretch players and get a core workout. We thought the same thing when we saw Your Shape: Fitness Evolved for Kinect two years ago, but that demo also turned out to be a bit more of a pipe dream than reality. Here’s hoping we actually see some Wii Fit U on the show floor this week to see how wellCa it actually works. Carly Rae Jepsen is making her Nintendo debut with a new karaoke title called Sing. Wow. It appears we’re done with Wii U (for now at least) as Scott Moffitt is now on stage to discuss 3DS games. He is actually just here to announce his own conference tomorrow night (we’ll be there!) at the Los Angeles Convention Centre. Oh, wait, we may have misspoke: Scott is actually talking about a few games. First up is New Super Mario Bros. 2 for Nintendo 3DS, which we’ll be seeing this August. 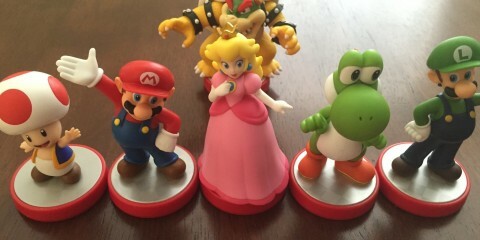 Another Mario title is Paper Mario: Sticker Star, also for Nintendo 3DS. This game continues the role playing tradition of the Paper Mario series with a new mechanic: stickers. There seems to be a sort of collection mechanic as well as battle elements where the stickers come into play. Sticker Star arrives this holiday season. And with one more game, we see Luigi’s Mansion on Nintendo 3DS. The game actually looks incredible and somehow even better than the GameCube version we had on the big screen. Scott is hopping off stage and Reggie is back to discuss more about Wii U. First up is Lego City: Undercover, a game that takes us right back to the days of Lego Island back in the mid-90s, but with far better graphics. It seems to borrow some elements from the LEGO Harry Potter/Batman/Indiana Jones games and throws in a little (non-whore-smacking) Grand Theft Auto to mix things up. 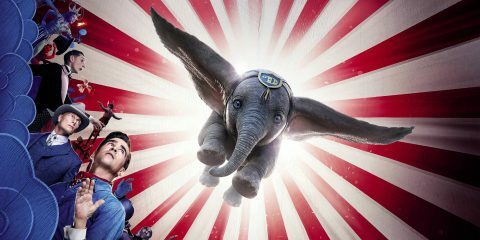 This is actually one of the more childish games we could totally get behind! And they finish the video with a Lego minifig constructing a green warp pipe and disappearing into it. This got the crowd – and us – embracing the nostalgia of Mario. Ubisoft is a massive player in the games space, and Yves Guillemot is on stage to discuss the French company’s Wii U offerings. There’s some seriously bad planned dialog here, but it gets the message across that Ubisoft loves the Wii U. 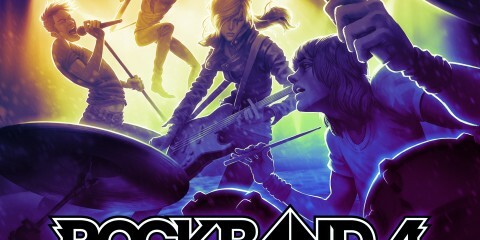 The first game they’re announcing is Just Dance 4. It is pretty basic, and we’re not sure the added functionality from the Wii U GamePad makes any sort of real difference to gameplay. We’ll just have to play it to find out. Next up is a zombie game – because we haven’t had enough of those in recent memory – called ZombiU. (We’re going to be really annoyed if every game ends with a ‘U’ just because it’s on Wii U. 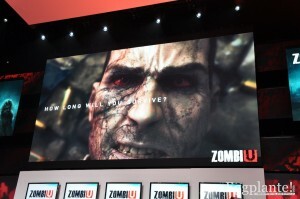 After the explanation of ZombiU, we are actually pretty excited about the title. It appears to have an interesting mechanic where you die and have to salvage your old equipment from the body of the last zombie you played as, and try to get farther in the level by doing so. So in essence, you’re facing yourself as your past character has become a zombie and now is coming after you again. Reggie is back up, but Ubisoft is throwing up a sizzle reel with just under a dozen titles on display. This has to be the largest stable of games anyone has for the console so far, although the only unique one we’ve seen so far is ZombiU. Wow! Assassin’s Creed III is coming to Wii U for what we can only assume would be launch this holiday season! Your Shape: Fitness Evolved 2013 is also making the jump from Kinect over to Wii U, as is a new title called Sports Connection and a new Marvel: Avengers game subtitled Battle for Earth. 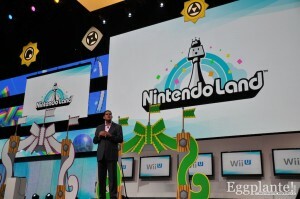 We’re now getting an introduction on NintendoLand, and entirely new property in the Nintendo stable. It seems to be a stable of mini games which, we’re predicting, will be the Wii Sports-like tie-in game that will help people get into the Wii U console and understand how to use the new controller. In Takamaru’s Ninja Castle, we get to use the Wii U GamePad to throw ninja stars at enemies on the television screen, as we saw last year in the Wii U’s announcement video.This whole explanation is very long-winded and we’re not sure any of it is really necessary. We’d figure out the multitude of gameplay mechanics that come along with the new GamePad controller just by playing the game, but they chose to ruin some of the fun for us. Aww well. Unfortunately, the conference is now over and it’s time to head over to the actual show floor to play some of these games and really feel the launch version of the Wii U and the early versions of the new console’s launch titles. See you on the show floor!